The Durupınar site is a large aggregate structure on Mount Tendürek in eastern Turkey. The site is 3 kilometres (2 mi) north of the Iranian border, 16 km (10 mi) southeast of Doğubeyazıt, in the Ağrı Province, and eighteen miles (29 km) south of the Greater Mount Ararat summit, at an elevation of 6,449 ft (1,966 m) ~ 6,575 ft (2,004 m) above sea level. The size and shape of the structure has led to its promotion by some believers as the original Noah's Ark. However, there are both mainstream scientists and creationists who believe this is merely a slightly unusual natural formation. The site is near several officially unnamed peaks, though locals call one of the nearby peaks Cudi Dağı in Turkish and Çîyaye Cûdî in Kurdish, which David Fasold linked to Mount Judi (Arabic: الجودي‎‎ al-Ǧūdī), the mountain named in the Qur'an as the final resting place of Noah's Ark. Some researchers place Mount Judi in another location farther south near the Turkish/Iraqi border. According to local reports, heavy rains combined with three earthquakes exposed the formation from the surrounding mud in May 19, 1948. It was discovered by a Kurdish shepherd named Reshit Sarihan. It was subsequently identified by Turkish Army Captain İlhan Durupınar—for whom it was subsequently named—in a Turkish Air Force aerial photo while on a mapping mission for NATO in October 1959. Durupınar informed the Turkish government of his discovery and a group from the Archeological Research Foundation which included George Vandeman, İlhan Durupınar, and Arthur Brandenberger, professor of photogrammetry, surveyed the site in September 1960. After two days of digging and dynamiting inside the "boat-shaped" formation, the expedition members found only soil and rocks. Their official news release concluded that "there were no visible archaeological remains" and that this formation "was a freak of nature and not man-made". The site was then ignored until 1977, when it was rediscovered and promoted by self-styled archaeologist and amateur explorer Ron Wyatt. Throughout the 1980s, Wyatt repeatedly tried to interest other people in the site, including ark hunter and former astronaut James Irwin and creationist John D. Morris, neither of whom was convinced the structure was the Ark. In 1985, Wyatt was joined by David Fasold and geophysicist John Baumgardner for the expedition recounted in Fasold's The Ark of Noah. As soon as Fasold saw the site, he exclaimed that it was a ship wreck. Fasold brought along state-of-the-art ground-penetrating radar equipment and a frequency generator, set it on the wavelength for iron, and searched the formation for internal iron loci (the latter technique was later compared to dowsing by the site's detractors). Fasold and the team states that the ground penetration radar revealed a regular internal structure and measured the length of the formation as 538 ft (164 m), close to the 300 cubits (157 m, 515 ft) of the Noah's Ark in the Bible if the Ancient Egyptian cubit of 20.6 inches (0.52 m) is used. Fasold believed the team found the fossilized remains of the upper deck and that the original reed substructure had disappeared. In the nearby village of Kazan (formerly Arzap), they examined so-called drogue (anchor) stones that they believed were once attached to the ark. Creationist commentators, such as Andrew Snelling in the Creation Ministries International journal Creation, wrote that "there are no scientific principles employed" in the "so-called frequency generator" used by Wyatt's team. He called it a "gadget, which is generally advertised in treasure-hunting magazines, not scientific journals" with "brass welding rods being used in essence, as divining rods, similar to the use of a forked stick to search for water." 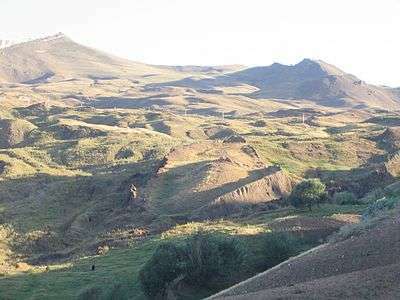 Fasold asserted in his 1988 book that locals call one of the peaks near to the Durupinar site al Cudi (Turkish Cudi Dagi, Kurdish Çîyaye Cûdî) and linked this to the Mount Judi named in the Qur'an as the final resting place of Noah's Ark. The assertion is controversial and not well supported by local toponymy. A natural rock structure near Dogubayazit, Turkey, has been misidentified as Noah's Ark. Microscopic studies of a supposed iron bracket show that it is derived from weathered volcanic minerals. Supposed metal-braced walls are natural concentrations of limonite and magnetite in steeply inclined sedimentary layers in the limbs of a doubly plunging syncline. Supposed fossilized gopherwood bark is crinkled metamorphosed peridotite. Fossiliferous limestone, interpreted as cross cutting the syncline, preclude the structure from being Noah's Ark because these supposed "Flood" deposits are younger than the "Ark." Anchor stones at Kazan (Arzap) are derived from local andesite and not from Mesopotamia. In April 1997, in sworn testimony at an Australian court case, Fasold repeated his doubts and noted that he regarded the claim that Noah's ark had been found as "absolute BS". He [Fasold] kept repeating that no matter what the experts said, there was too much going for the [Durupınar] site for it to be dismissed. He remained convinced it was the fossilized remains of Noah's Ark. The Arzap Drogue Stones are a number of large standing stones found near the Durupınar site by amateur archaeologist Ron Wyatt with the aid of David Fasold and others. Fasold interpreted the artifacts as drogues, stone weights used to stabilize the Ark in rough seas, because they all have a chamfered hole cut at one end as if to fasten a rope to them, and his reading of the Epic of Gilgamesh, the Babylonian mythical account of the flood, suggested to him that such stones were used. Drogue stones were the equivalent of a storm anchor on ancient ships. They have been found in the Nile and elsewhere in the Mediterranean area, and like the stones found by Wyatt and Fasold, they are heavy and flat with a hole for tying a line at one end. Their purpose was to create drag in the water or along shallow sandy bottoms: the stone was attached to one end of a boat, and the drag produced would cause the bow or stern to face into the wind and wind-blown waves. A geological investigation of samples from the stones, published by geologist Lorence Collins in co-authorship with their original discoverer David Fasold, found that they are of local rock and thus could not have been brought from Mesopotamia, the Ark's supposed place of origin. Similar stones found throughout ancient Armenia are recognised as pagan "holy stones" converted to Christian use by the addition of crosses and other Christian symbols. Many are found in Christian cemeteries, as these were. 1 2 Collins, Lorence G. (2011). "A supposed cast of Noah's ark in eastern Turkey" (PDF). 1 2 Avci, Murat (2007). ""Noah's Ark": its relationship to the Telçeker earthflow, Mount Ararat, Eastern Turkey". Bulletin of Engineering Geology and the Environment. 66. pp. 377–380. ↑ Snelling, Andrew (September 1, 1992). "Special Report: Amazing 'Ark' Exposé". Creation Magazine. Answers in Genesis. 14 (4). 1 2 Fasold 1988, pp. 92–3. ↑ Sura 11:044 from the Marmaduke Pickthall translation of the Qur'an: "And it was said: O earth! Swallow thy water and, O sky! be cleared of clouds! And the water was made to subside. And the commandment was fulfilled. And it (the ship) came to rest upon (the mount) al Cudi and it was said: A far removal for wrongdoing folk!" ↑ "Mt. Cudi". NoahsArkSearch.com. Retrieved 2014-12-22. ↑ Fasold 1988, pp. 319–25. ↑ Edwin B. Greenwald, "Turk Reports 'Ship' Atop Mt. Ararat," Associated Press article, 13 November 1948. ↑ Noorbergen, Rene (2004). The Ark File. TEACH Services, Inc. p. 128. ISBN 978-1572582668. Retrieved 2014-06-04. 1 2 3 Fasold 1988, p. .
↑ Dawes 2000, p. .
↑ Fasold 1988, p. 7. ↑ Morris, John D. (September 1, 1990). "That Boat-Shaped Rock… is it Noah's Ark?". Creation Magazine. Answers in Genesis. 12 (4). ↑ Fasold 1988, pp. 15–22. 1 2 3 Pockley, Peter (6 November 1994). "Theory blown out of the water". Australian Sun-Herald. ↑ Snelling, Andrew (September 1992). "Special report: Amazing 'Ark' exposé". Creation. 14 (4): 26–38. Retrieved 2013-09-25. ↑ Clifton, Brad (9 April 1997). "Doubts sank faith in Ark". The Daily Telegraph (Australia). ↑ Thomson, Kirstyn (9 April 1997). "Witness Tells How Ark Faith Sank". The West Australian. ↑ Finkel, Elizabeth (18 April 1997). "Creationism Suit: Australian Geologist Battles 'Ark' Claim". Science. 276 (5311): 348. doi:10.1126/science.276.5311.348. ↑ Deal, David Allen (2005). Noah's Ark: The Evidence. Muscogee, OK: Artisan. ISBN 0-933677-02-2. ↑ Dawes 2000, p. 184. ↑ Merling, David (May 1993). "Has Noah's Ark Been Found?". Adventist Review. Berlitz, Charles (1987). The Lost Ship of Noah. New York: Putnam. ISBN 0-399-13182-5. Dawes, June (2000). Noah's Ark: Adrift in Dark Waters. Belrose, NSW: Noahide. ISBN 0-646-40228-5. Deal, David Allen (2005). Noah's Ark: The Evidence. Muscogee, OK: Artisan. ISBN 0-933677-02-2. Fasold, David (1988). The Ark of Noah. New York: Wynwood. ISBN 0-922066-10-8. Nissen, Henri (2005). Noah's Ark Uncovered: An Expedition into the Ancient Past. City: Scandinavia Publishing House. ISBN 87-7247-813-6. Sellier, Charles; David Balsiger (1995). The Incredible Discovery of Noah's Ark. New York: Dell. ISBN 0-440-21799-7. Wilson, Ian (2002). Before the Flood. New York: St. Martin's Press. ISBN 0-312-30400-5. Wyatt, Ron (1989). Discovered: Noah's Ark!. Nashville: World Bible Society. ISBN 0-942521-43-9. Griffin, G. Edward (1993). The Discovery of Noah's Ark (Documentary). Westlake Village, CA: American Media. Plimer, Ian, and David Fasold (1994). Crusaders for the Lost Ark (Documentary). Sydney: Australian Broadcasting Corp.
Wyatt, Ronald E., and Mary Nell Wyatt (1994). Noah's Ark (Documentary). Nashville, TN: Wyatt Archaeological Research.